I have a favorite local spot where I film all sorts of wildlife including bobcat so I wanted to put together a bobcat facts article. I see them often during the month of December because it’s mating season for them. Often, I run into them while they are hunting so I plan my day to hike early in the morning and late in the day. I’ve run across many where they had to walk by me on the trail and have never had any problems with them. They see me as a much taller, bigger mammal. I’ve included video, photographs and information about them in the article below along with a link to Defenders of Wildlife so you can help this great animal too. Bobcat dens are being destroyed regularly due to new construction and therefore, they are being driven from their homes and into the city where many people have found them to be pests. With this trend growing, it has become a fear that bobcats could decrease in population. Bobcats are medium-sized cats that are a bit smaller than the lynx. They have varying shades of coat from beige to brown and can have either dark brown/black lines or spots as marking. They have a short tail, only about 6 inches long and the males and females look alike. However, the male will be larger. Bobcats can be solitary or territorial animals and in some cases both. 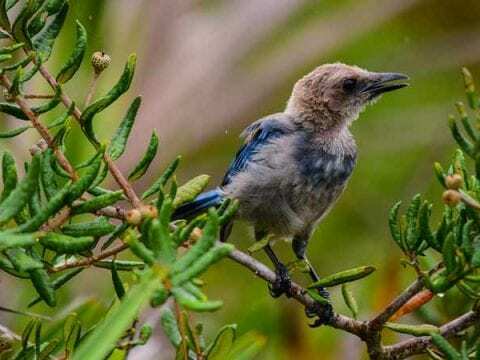 However, generally speaking, females are more territorial and will not share territory with other females while males tend to overlap each other. These territories are marked by scents and range from 25-30 square miles for males and 5 square miles for females. Bobcats generally live in dens. This can be several dens, one main den or several different auxiliary dens within its territory. The bobcat is a very adaptable predator that inhabits wooded areas, urban edges, forests and some swampland. A bobcat is really great for controlling pest situations. 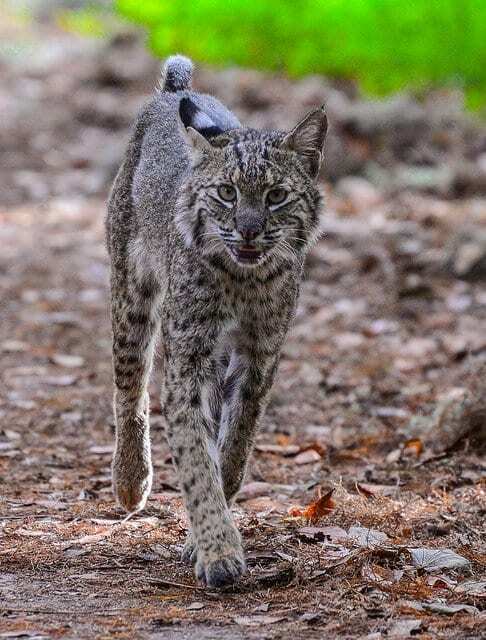 The bobcat is an avid hunter and likes to eat rabbits and hares but will eat other food such as insects, chickens, geese, birds, rodents and deer. Bobcats are territorial animals just like most cats and they prefer to be alone. Bobcats are crepuscular which means that they keep on the move before sunset all the way up until midnight and then begin to move again before dawn. During the night, a bobcat will usually roam about two to seven miles along its habitat. 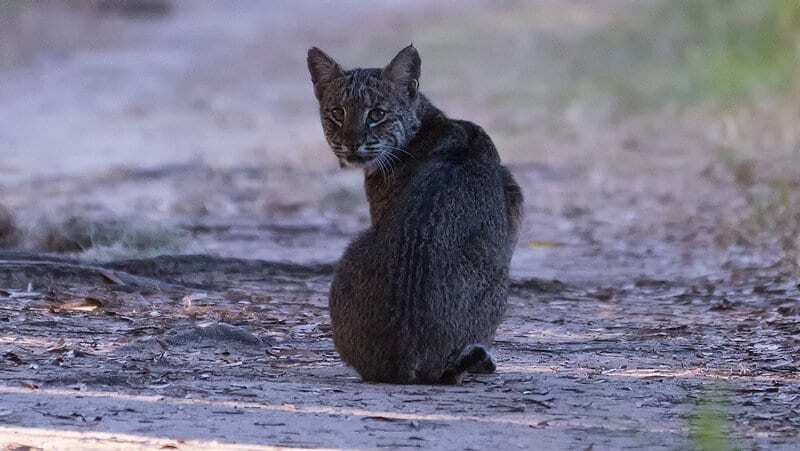 This tends to change throughout the seasons because bobcats become more diurnal during the fall and winter and tend to focus on their prey more. 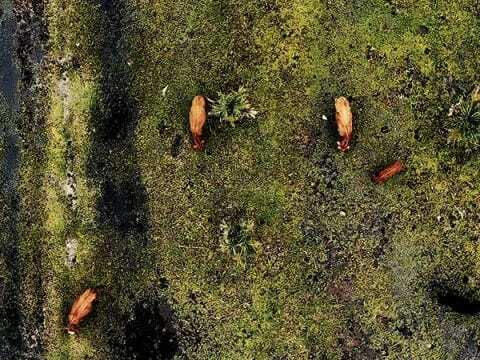 They hunt for rabbits and hares but they will also eat rodents, bats, deer, lambs and pigs as well. In Texas, smaller animals such as dogs are preyed on by bobcats. To mark their territory, they usually make claw marks and/or deposit urine or feces near their dens. Bobcats are very patient and stealthy cats. They will stalk their prey for quite some time before they pounce on it. Kittens start to eat solid foods when they are about two months and they start to learn how to hunt at about five months. Between 8 and 11 months, the kittens are cast out from their mother’s territory. Bobcats breed from winter to spring and usually have a gestation period for two months. Bobcats will generally start to breed by their second summer but females can start as early as their second year. For males, sperm production generally happens each year between September and October and the male will become fertile throughout the summer. A dominant male will travel with a female and mate her many times during this time, generally from winter through spring. They mate by bumping, chasing and ambushing. Sometimes other males are there to watch but never get involved in the mating itself. The male tries to mate the female and when he finds that she is ready, he uses his teeth to grab her by the neck and then mates her. Bobcats usually do not mate for life and therefore, a male will mate with several different females and vice versa. While trying to court a female, a male may use varying sounds such as hisses or loud screams. Within Texas, research suggests that bobcat prefer to use their home range for breeding. When bobcats do not have a home range to breed on, it leads to no identified offspring. A female Bobcat has an estrous cycle of about 44 days and the estrus lasts about 5-10 days. Bobcats as a whole, usually remain very reproductive throughout their entire lives. After mating, Females carry their babies and raise them alone. Kittens are usually born between April and May, after a 60-70 day gestation period. There are times when a second litter is born in late September. For birth, a female usually chooses an enclosed area such as a cave or a hollowed out log. The kittens will, on average, open their eyes by the ninth or tenth day after birth. Kittens start to eat sold food by the time they are two months old. Three to five months later, they will start to travel with their mother so that they can begin hunting by the time fall comes around. Once they have learned the basics needed, they will disperse from there. However, in some areas across the United States, kittens will remain with their mothers for much longer. Bobcats are found all over the United States. Their populations have fluctuated due to hunting as their fur was used often in production. Bobcats are nocturnal and are rarely seen by humans as they are stealthy in nature. They are not endangered. They are considered “Least Concern” as their population is stable. Defenders of Wildlife help to fight for protection of the bobcat. They have a page set up, What You Can Do To Help Bobcat, so you can learn more about how you can help. Please visit their site and help. Thank you!